If you’re selling a Breckenridge property and you get a lowball offer, you may be thinking, “Let’s reject this and move on”, but there are many ways to look at lowball offers, and in my time as a Breckenridge Realtor, I’ve seen many initially lowball offers bloom into numbers that can be taken seriously. On the other hand, a figure that’s well below 25 percent of the list price, for example, might never rise to an amount you’d want to consider. It’s just how some offers play out from time to time. However, the definition of a lowball offer can vary based on both math and perception and factors like the market and price range can come into play. Here are a few way to approach a home sale proposal that may seem hopeless at first. You might feel insulted by a low offer in the very beginning of the negotiation process. One the thing to keep in mind is that if a potential buyer really falls in love with your home, an initially low offer could be transformed to a wonderful bid in no time flat. The lesson to remember is that any deal can become feasible, if the buyer is willing to bring the offer up to an acceptable level. Therefore, be careful not to dismiss a proposed number before allowing for some negotiating to take place. You just never know where an offer could lead. If the offer is ridiculously low, this could be a great opportunity to encourage the buyer to come back with a better number. A good tactic is to say you appreciate the offer, but you’ve decided to pass. More often than not, the buyer will return with a more suitable figure. In this type of a situation, I’ve also used another effective strategy that’s really quite simple. I have told the buyer’s agent that we’re perplexed by the far-under-list offer, but we’d be more than happy to consider a number that’s more in line with the current market. That method is capable of providing positive results. Direct questions can work as well. I don’t see any problem with asking for a logical reason to support such a low offer. Sometimes you can learn important feedback about the property and the buyer by starting a conversation. The buyer’s terms, including the closing date and any financial needs on the buyer’s part, could be major factors in the proposal you’ve received. Also, the lowball offer may not be as bad as you might originally think, depending on how long the home has been on the market. Perhaps what seems like a low figure is actually reasonable from the buyer’s perspective. Try to put yourself in their shoes. At any rate, it’s important to give yourself time to weigh all offers. A low number could become something much more acceptable through careful negotiation. Or it may turn out to be a decent offer, if considered in the context of the latest market conditions. 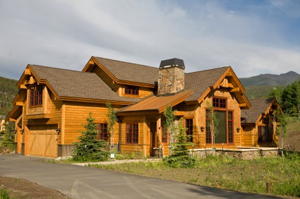 Understanding the offers you receive on your Breckenridge property and knowing how to respond can be challenging. However, I hope this blog will enable you to think more broadly about the way buyers may propose prices for your property. There are always multiple aspects to consider. When you’re ready to weigh your options for selling a Breckenridge property, or if you’re already preparing for showings, contact me at any time via email ([email protected]) or on my office line. I look forward to working with you!